It's not like children usually need much of an incentive to encourage them to want to paint, but sometimes, mixing it up with new and different ways to paint, allows them to learn & develop different skills, enhance their creativity and keeps things fun and interesting. Here are a collection of simple, different ways that your child might like to paint today. 3. Painting on Shaving Cream from Learn Play Imagine. 4. Painting with DIY Scented Sidewalk Paint from Learn Play Imagine. 5. Magic Painting Pictures from Serenity You. 6. Cardboard Comb Painting from Learn with Play at Home (that's us). 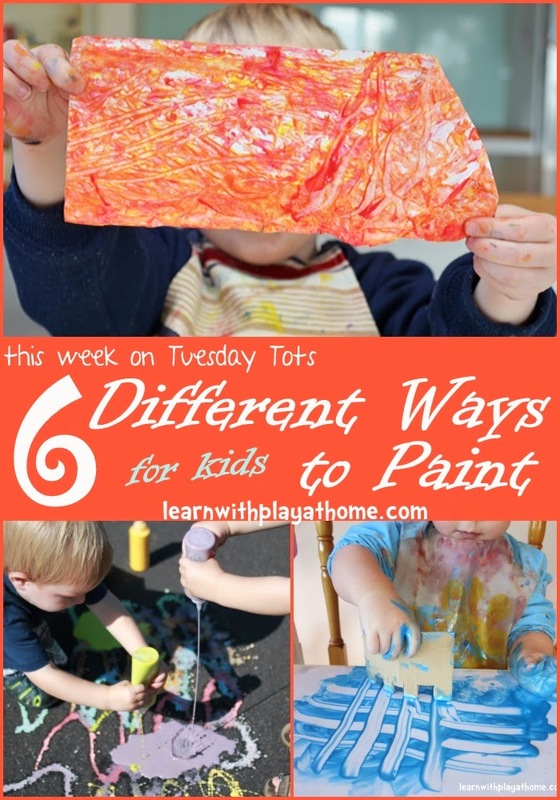 Here are some other different ways we've enjoyed painting. Loved the list of painting ideas... I have 2 cans of shaving cream just waiting to try out that idea!